Movable Shelving Video | Donnegan Systems Inc.
See how Donnegan Systems can help with your space constraints, storage challenges, and more. Traditional storage units—bookshelves, filing cabinets, storage cabinets, and even warehouse racks—waste a tremendous amount of space in the aisles. By eliminating fixed aisles, high-density mobile shelving systems allow you to store the same amount in half of the space. The shelves move—and the aisles move—to allow easy access. Instead of wasting space between each shelf, mobile shelving systems allow you to condense the shelves. Before considering an expensive addition to your existing building, you might want to consider the possibilities offered by a mobile shelving system. For nearly 40 years, we’ve worked with people across many different markets to design storage systems that save them space, time, and money. With three different modes of operation and a variety of styles and design options to choose from you can truly customize your High- Density Mobile System with the features that are important to you. Utilizing a High-Density Mobile Storage System for is the most effective way to significantly increase space, organization, and efficiency. 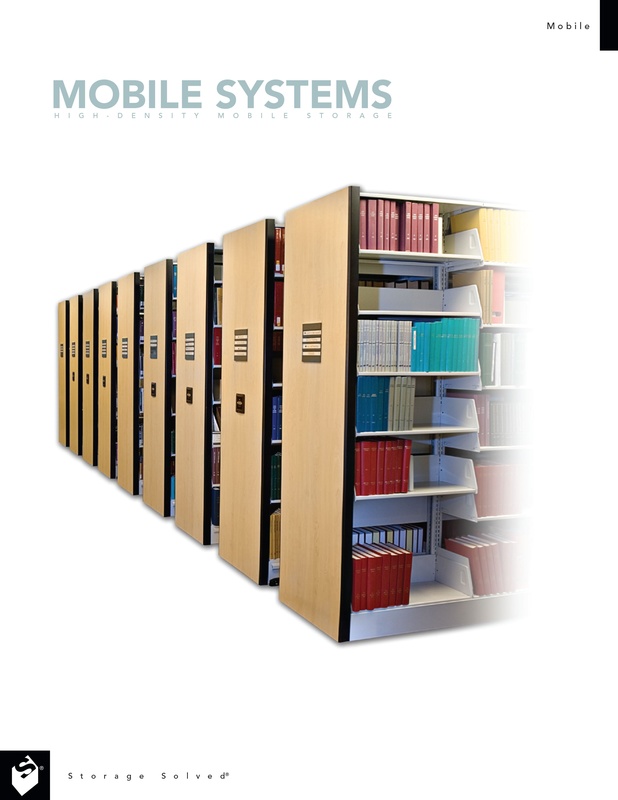 Increase capacity or reduce your storage space by half with High Density Mobile Shelving. Download our brochure to view all Movable Shelving Solutions. Donnegan Systems has helped many businesses across New England and Eastern NY. Let us show you how to look at space a whole new way.